Question of the Day: Should the President Go to Chicago to Discuss Gun Control and Violence? This is not going to be one of those long 'Question of the Day' like you may be used to when it comes to this site. This question requires no background. 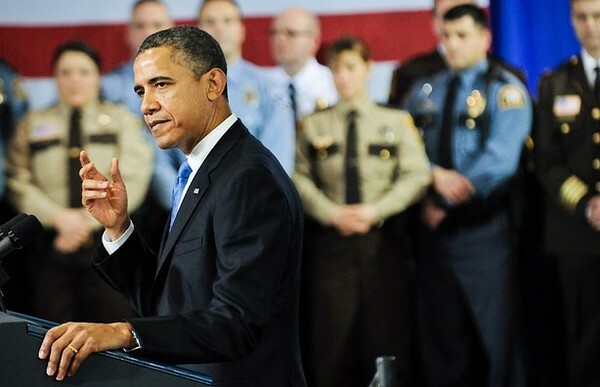 SHOULD THE PRESIDENT GO TO CHICAGO TO DISCUSS GUN-CONTROL AND VIOLENCE? I’m just saying…he can go to Minnesota and not Chicago. Seriously!!! How many more kids need to die in Chicago before it can get that Sandy Hook attention? Sorry, I realize that’s more than one question, but dammit I’m pissed. Most definitely he should go to Chicago especially since they are asking him to. At the same time, should he not go does not mean that he does not care. But I know that it will mean alot to the people of Chicago for him to come home.